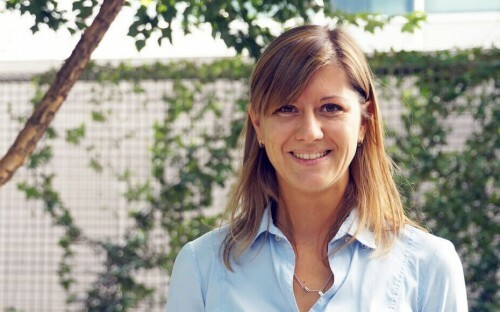 As program coordinator of the International Flex EMBA at MIP Politecnico di Milano (MIP), Daria Gennaro knows a lot about the importance of flexibility and adaptability. The 20-month program offers the same knowledge and competencies as the traditional Full-time Executive MBA, but with the ability to tailor the workload around your professional and personal timetable. There’s no need to give up valuable career time, and no need to dedicate your schedule to a full-time, on-campus program. Managers who want to combine international study with work commitments can rejoice, tapping into one of the most advanced digital learning platforms in the world, developed with Microsoft technology. Daria says she spends her days surrounded by a plethora of professors and students from all over the globe. Just like the MBA students she works with, she is exposed to a great network of people, learning about new cultures and industries every day. Tell us more about the International Flex EMBA at MIP? The Flex EMBA is delivered though distance learning, except for two weeks where the students have the chance to meet in person. The first week is crucial, as the students have the opportunity to interact and establish relationships face-to-face early on. This means that teamwork later down the line is more fruitful. There are 16 courses, each lasting two-to-five weeks. Each course is conducted digitally, encompassing individual projects and group assignments. Even though the students are learning from afar, through screens, they have surprisingly strong relationships and friendships. This is the common misconception with distance-learning programs. Distance doesn’t affect the networking process. In fact, sometimes online interaction is actually more conducive to building bonds, as the students can converse and work in their own time, around their own schedule. How does the International Flex EMBA at MIP differ from distance learning courses at other business schools? Our strong point is our one-to-one contact with the students. We value and support every single one and cater individually to their needs. We have very small classes, with 30-to-35 students per course, and so we have the chance to provide customized assistance to each student. Are flexible programs becoming more popular? Over the years, we have seen such a rapid increase in the popularity of online, flexible courses. The principal benefit of an online course is that you can personally organize your time and work to your own schedule, which is great for busy professionals. Two hours a week of live sessions is manageable and doable. Is it challenging to juggle a full-time job as well as studying for an MBA? It is challenging, and that is why we have alumni on hand to guide and give support to current students, providing some much-needed words of wisdom! We also offer some short videos featuring successful alumni who share suggestions on time management, speaking from experience. How do you ensure that the quality of the teaching and learning process is just as high quality as full-time courses? We have a great evaluation system, asking students to provide feedback on each part of the course. We really want to know if the teaching and support system is functioning to the highest standard, and we of course want to hear of anything that we can improve on. This weekly feedback is so useful, and we have found that students really appreciate having their thoughts heard. What would you say to prospective applicants of the International Flex EMBA at MIP? You really have to think about the Executive MBA as a whole. You have to think about how you are going to get the most out of your time on the course, having the chance to acquire a broad range of skills and connections. I would say not to focus too heavily on grades! Surprising as that sounds, I think your experience is actually key. What can you bring, and what do you want to gain? I love meeting and hearing from people all over the globe. It’s not just me directing the conversation, teaching and dictating. Rather, it’s much more of an exchange—a great interactive conversation where I am learning new things about new cultures and countries all the time. I stay in contact with some students, and even after years and years they still remember me! Hearing of their successes and achievements is such a rewarding part of my role.